One of the more difficult things about going to a mechanic is that most of us don’t know the different symptoms that a broken system in our car can produce. This lack of knowledge leaves us walking into the shop with little or no idea of what the mechanic might say is wrong with our car and no idea as the what the repair cost might be. Blown head gasket symptoms are no different, and if you’re not familiar with these symptoms, a diagnosis from a mechanic can leave you shocked. 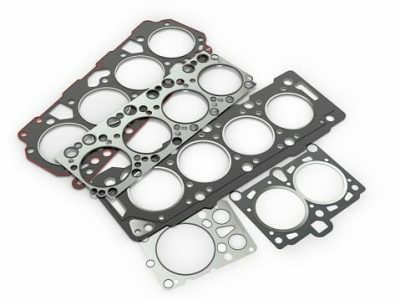 In this article we’ll talk through the different blown head gasket symptoms your vehicle may display so you can be prepared for what the mechanic might say. One of the difficulties with diagnosing a blown head gasket based on these symptoms is that most of the symptoms could also be associated with other problems. For example, chronic overheating could be caused by a bad thermostat, a low coolant level or other cooling system problems. Similarly, coolant can disappear due to many different kinds of leaks that can be very difficult to find. Some of the other symptoms are more definitive. For example, in cool weather, you will see white water vapor from your exhaust while your engine is warming up especially in humid weather. However, if the smoke is thick and white, continues after your vehicle warms up, and smells sweet, it’s a sure indication that you have a blown head gasket. Similarly, bubbles in your radiator while your engine is still cold is also almost a guarantee that you have a blown head gasket. In order for your mechanic to be absolutely sure you’ve got a blown head gasket he would have to disassemble your engine to physically inspect the head gasket. The vast majority of the cost of head gasket replacement is this procedure so that isn’t a cost effective method of proving you indeed have a blown head gasket. If your vehicle is exhibiting multiple blown head gasket symptoms including one of the definitive symptoms like bubbles in your radiator, white smoke from your exhaust or water in your oil there is a good chance you’ve got a blown head gasket. A blown head gasket is simply a break in the gasket in between your cylinder block and cylinder head. This break allows your engine coolant to be drawn into the cylinder by the intake stroke, vaporized during the combustion stroke and exhaust gas pushed into your coolant passages during the exhaust stroke. The symptoms you see are byproducts of this break. When coolant is drawn into your cylinder it will cause your vehicle to mysteriously loose coolant because there is no visible leak which can also lead to overheating. As coolant slips past your piston rings it will end up in your engine oil creating the milky substance you see. As the coolant is vaporized in the combustion chamber, it can foul your spark plugs and cause misfires in the cylinder. That vaporized coolant will travel out of your exhaust system as thick, sweet, white smoke. During combustion and on the exhaust stroke, gases from combustion will be forced into the coolant passages in your engine. This high pressure gas will travel through your coolant system and can often be seen as bubbles in your radiator even when the engine is still cold. If you’ve seen these blown head gasket symptoms in your vehicle you’ve got a few options. First, replacing the head gasket is an option, but it is an expensive one that will probably leave your vehicle in the shop for an extended period of time. The other option is to use BlueDevil Head Gasket Sealer to seal the leak from the inside out. BlueDevil Head Gasket Sealer is a powerful sealing agent that will travel through your cooling system until it finds the leak in your head gasket. There it will form a seal keeping your coolant in your cooling system and the combustion gases where they belong. Will I need to change the oil after using gasket seal or before? How long should I wait to change the oil? If you are getting water in the oil then we recommend changing the engine oil before and after applying BlueDevil Head Gasket Sealer. This will ensure for best results and prevent the engine from being run with moisture in the oil. If you are experiencing water/coolant in your oil, we recommend changing the oil before and after the BlueDevil process. After the 50 minute idle, after the vehicle cools down (at least 2 hours), you can do the second oil change. Thank you for asking about your Ford Mustang. Please contact our technical support team at 888-863-0426 so that we can get a little better understanding of the vehicle’s condition and be able to make any appropriate recommendations. What will it do for a compression side leak ? Please contact our technical support line at 888-863-0426 so that we can get a better understanding of your vehicle’s condition and be able to make any appropriate recommendations. My mechanic says that there is hydrocarbon in the radiator fluid, the engine oil gauge heats up to overload after about 3.5 miles of driving or about 15 minutes at idle or about 7 minutes at high idle with the AC working. Seems like a blown head gasket to me. The oil does not look watery and the coolant level does not seem to be dropping. The problem is the overheating. Cooling fan and water pump are also OK. Do you think that we would benifit by using your product, if so which one? Car is a 2006 Hyundai Sonata 6 cylinder with approx 160K on it. Thank you for asking about your Hyundai Sonata. It sounds like the vehicle may be getting combustion/exhaust gases blowing into the cooling system and creating pressure. To give yourself the best overall chance of BlueDevil working successfully, in addition to the directions, you should remove the spark plug from the cylinder with the leak; this will be the spark plug from the cylinder with the low compression reading. If you are not sure which one that is, you may pull all of the spark plugs and will notice one will have a white-crystal-like substance on it and/or may look dirty; this is the plug you should pull. Leave that plug out for the 50 minute idle in order to relieve the pressure from building up and thus allowing the product to seal properly. You may use either Head Gasket Sealer. The “Pour N Go” (16 oz./white label) is a less concentrated formula that does not require the removal of the thermostat or a flush of the cooling system prior to use. Whereas the “Mechanic Approved” (32 oz./yellow label) requires both the removal of thermostat and a flush before applying the product; the 32 ounce is the more concentrated formula. The product with the yellow label will give you best overall results as long as you can remove the thermostat and flush the system prior to use. With the use of either product, be sure to follow the guidelines for the proper amount to use. Based on your cooling capacity you will be using 16 ounces either way. If I have changed the water pump timing belt,thermostat,radiator,and radiator hose and the car is still running hot what could be my problem before I apply blue devil?? 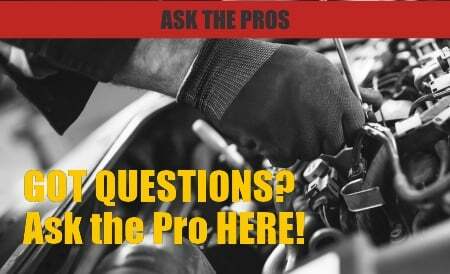 Are you currently losing antifreeze? 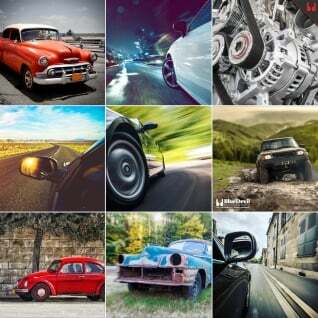 What physical symptoms have you seen with your vehicle? Feel free to contact our tech support team at 888-863-0426 so that we may discuss your vehicle and the possible use of BlueDevil. Which product should I use in my transfer case on a 1978 Toyota fj40? We recommend using BlueDevil Oil Stop Leak (http://store.gobdp.com/oil-stop-leak-49499/) in your transfer case. You should add 1 ounce of BlueDevil per every 1 quart of capacity; you will only need 1 – 3 ounces total. Expect to start seeing results after about 100 miles of driving. Will Blue Devil stop my coolant and antifreeze from disappearing from my reservoir. It’s gathering on the top of my motor, then drips to the ground. I have a 2002 Ford Explorer. Yes, the BlueDevil Head Gasket Sealer http://store.gobdp.com/head-gasket-sealer-38386/ would be able to seal the leak you have described. Feel free to contact our technical support line at 888-863-0426 with any other questions. I have a 1999 Cadillac Deville with a North star do I have to drain all of the antifreeze from it and flush the system out before I use blue devil to stop my head gasket leek. Thank you for asking about your Cadillac Deville. Yes, with the BlueDevil Head Gasket Sealer http://store.gobdp.com/head-gasket-sealer-38386/, you will be draining your antifreeze and performing a cooling system flush prior to using the product. Feel free to contact our technical support line at 888-863-0426 with any other questions. Thank you for asking about your Ford Explorer XLT. As long as the vehicle can maintain idle for a full 50 minutes, and you are not losing more than about a quart of water/coolant during that 50 minutes, you would be a great candidate for the product. Feel free to contact our technical support line at 888-863-0426 with any other questions. Thank you for the wonderful feedback! It is great to hear of the success you have had with the product. Once it seals, it would create a permanent seal, so you should be good to go at this point. Why Does my Manual Transmission Grind? — Where is my Power Steering Fluid Leak?